An agricultural biotechnology company has launched a hemp grow operation in a newly renovated greenhouse space on the grounds of the historic Lafayette Florist. 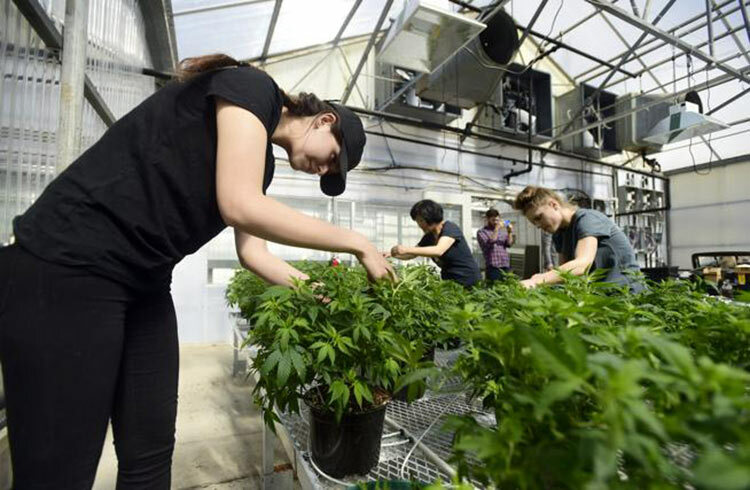 Lafayette-based Front Range Biosciences rented the 12,000-square-foot greenhouse — which had been used to grow flowers since the 1970s — and is growing industrial hemp clones to be sold to other growers. Jon Vaught, Front Range Biosciences co-founder and CEO, said the operation will soon be operating at full capacity, producing 75,000 hemp rooted cuttings per month. The iconic family-owned Lafayette Florist will continue normal retail operations in the space adjacent to the greenhouse. The business began in 1949 when Kumiko and Yasutaro Yoshihara opened a produce stand on a two-acre lot at 600 S. Public Road following their release from a World War II Japanese relocation camp in rural Prowers County. Eugene Yoshihara, the store’s former second-generation owner, died in 2016 at the age of 80. His son-in-law Brian Wheat is CEO of Lafayette Florist. In 2013, Wheat’s son, Tanner, began working for the company, marking the fourth generation employed by the family business. The store was named in 2003 as the first recipient of the Retail Florist of the Year Award, a national honor sponsored by floral industry organizations. The Yoshihara family was also honored by the Japanese American National Museum in Los Angeles, recognized for continuing the pioneering spirit of Japanese American family run businesses, according to a 2016 Daily Camera report. Wheat emphasized that the family continues to own the greenhouse space and is simply serving as a landlord for Front Range Biosciences’ operation. “It’s really, really exciting to be here and to bring this new industry to such a historic place,” he said.